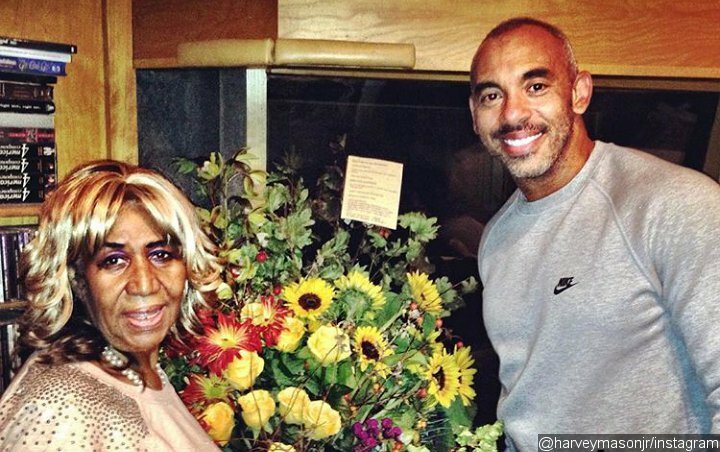 Harvey Mason, Jr. reveals the Queen of Soul gave him no indication she was dying when they chatted just a week ago. The producer of Aretha Franklin’s upcoming biopic has been left stunned by the singer’s death after meeting with her a week ago to discuss the project. Harvey Mason, Jr. tells TMZ the Queen of Soul gave him no indication she was dying when they chatted just days before she lost her battle with pancreatic cancer on Thursday, August 16. He claims the singer was upbeat and looking forward to getting back onstage after illness had forced her to scrap shows earlier this year. “She was really looking forward to getting on the mic…,” he tells the outlet. “That was really her frame of mind when I spoke to her. We all knew she was under the weather… but she was very optimistic when I spoke to her”. “She was very excited about the project, very optimistic,” Mason adds. “She was very involved. “It’s a sad day today. We’re obviously at a loss but optimistic that her story will be told and we’ll honour her through this biopic”. And Mason insists the film project, featuring Jennifer Hudson as Aretha, won’t be fast-tracked now the singer is dead. “We’re not gonna try and rush this or speed this up,” the filmmaker assures fans. “We wanna do it with the utmost class. Aretha’s standards were so high we’re not gonna compromise that just to get the film out earlier”. The film doesn’t yet have a release date. Meanwhile, Hudson joined the fans taking time on Thursday to honour the late Queen of Soul, posting a clip of herself listening to Aretha sing a cover of The Beatles’ Let It Be. “I have no words, so I will let the Queen say it!” Hudson wrote. “But I will say while teaching me about your life, u taught me so much about life and schooled me in mine. I will never forget those teachings #riparethafranklin”. Franklin’s longtime friend and producer Clive Davis revealed earlier this year that Aretha had handpicked Hudson to play her in the new film.